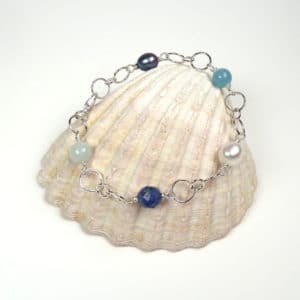 A truly unique bracelet of green gemstones and baroque freshwater pearls with a hand-crafted silver clasp. 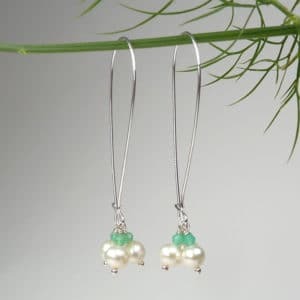 Kyanite, prasiolite, peridot and labradorite are interspersed with baroque freshwater pearls. The clasp is a hand-crafted, hammered sterling silver toggle which has been hallmarked at the London Assay Office. 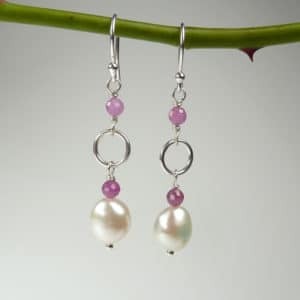 Length: 21cm but will come up slightly shorter due to size of stones. 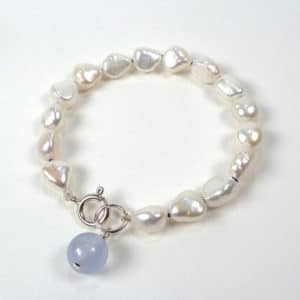 Diameter of largest pearl: 12mm.